CLEVELAND — A county man and his wife are two of six Ohio residents indicted in federal court this week on charges related to a $48 million health care fraud conspiracy. The U.S. Department of Justice made the indictment announcement on Thursday. Of those indicted is Ryan P. Sheridan, 38, of Leetonia, who was the sole owner of Braking Point Recovery Center. 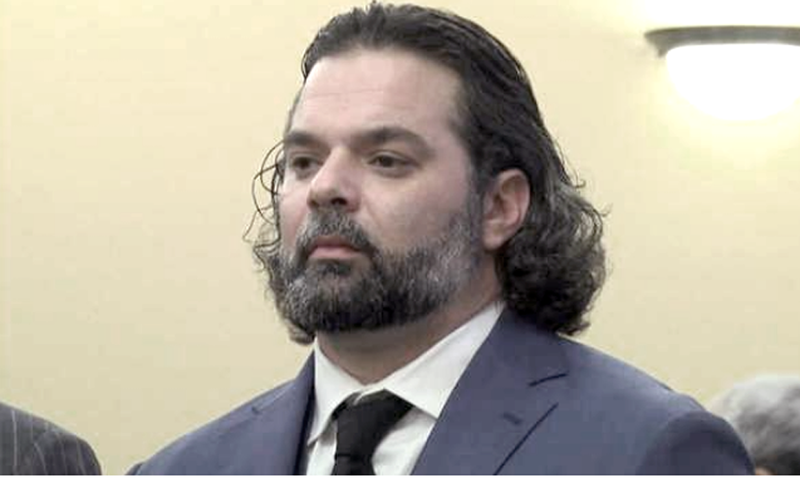 He and five others were named in the 60-count indictment unsealed in U.S. District Court here for their roles in a health care fraud conspiracy at two drug and alcohol rehabilitation centers in Ohio. The indictment states that Medicaid was billed $48 million for drug and alcohol recovery services that were not provided, were not medically necessary, lacked proper documentation or had other issues that were ineligible for reimbursement. In addition to Ryan Sheridan, others indicted were his ex-wife, Jennifer M. Sheridan, 40, Austintown; Kortney L. Gherardi, 29, of Girard; Lisa M. Pertee, 50, of Sunbury; Thomas Bailey, 44, of Poland; and Arthur H. Smith, 54, of Austintown. They are all charged with conspiracy to commit health care fraud related to their work at Braking Point Recovery Center, which operated drug and alcohol rehabilitations facilities in both Austintown and Whitehall, according to the indictment. The indictment states that between January 2015 and Oct. 18, 2017, the defendants submitted billings to Medicaid for drug and alcohol services that were coded to reflect a service more costly than actually provided, among other things. They are also accused of billing Medicaid for patients whose records did not contain diagnosis by a physician, billing for services that were not medically necessary, as well as billing for in-patient detox and drug treatment services that were actually provided in an out-patient setting, among other violations. Additional counts listed in the indictment include health care fraud, money laundering, operating a drug premises, conspiracy to distribute controlled substances, use of a registration number issued to another to obtain controlled substances, and other offenses. According to the indictment, Braking Point submitted approximately 134,744 claims to Medicaid for more than $48.5 million in services it claimed to provide between May 2015 and October 2017, resulting in Medicaid paying Braking Point more than $31 million. Medicaid suspended payments to Braking Point on Oct. 18, 2017, it stated. The Sheridans, Gherardi, Bailey and Smith are also accused in the indictment of “conspiring to develop a standard protocol of distributing the same amount of Suboxone to every patient seeking drug treatment immediately upon entering Braking Point’s detox program without being evaluated by a properly licensed physician” to determine the medical necessary for its use. The indictment went on to state that the Sheridans, Gherardi and Bailey used Smith’s DEA data waiver license to dispense more than 3,000 doses of Suboxone in 2017 alone without Smith having seen the patients as Braking Point’s medical director. Ryan Sheridan is also accused in the indictment of making several financial transactions involving money derived from unlawful activities, including health care fraud and conspiracy to commit health care fraud. Drug Enforcement Administration (DEA) Special Agent in Charge Timothy J. Plancon said the arrests reiterate the DEA’s commitment to making communities safer from illicit drugs, diverted pharmaceuticals, and fraud. “While the vast majority of the health care professionals in this country are committed to saving lives, there are a few who are merely drug dealers hiding in plain view, and driven by greed,” he said. The case was investigated by the U.S. Department of Health and Human Servies — Office of Inspector General, FBI, IRS criminal investigations, DEA, and Ohio Attorney General’s Medicare Fraud and Corruption Unit. It is being prosecuted by Assistant U.S. Attorneys Mark Bennett and Maritsa Flaherty, and special assistant U.S. Attorney Jonathan Metzler.